Your commitment to educating Vietnam’s rising generations is already changing lives and strengthening communities. With a Master of Arts in Applied Community Development from Future Generations University, you can create even more positive impact. The Linguistic Development Education specialization is designed to help you achieve your goals as an educator for the sustainable and resilient future of Vietnam. Bending Bamboo is a professional development program operating in Vietnam’s Mekong Delta. The Program facilitates the collaborative work of language teachers and scientists to build “bilingualism with purpose.” Vietnam aims to be bilingual. Vietnam is also transitioning from an agricultural to an industrialized society and economy. Its regional ties with ASEAN continue to deepen. How can the English language classroom equip students and citizens with knowledge and skills to ensure outstanding jobs, a beautiful environment and culture, and Vietnam’s leadership in ASEAN? Bending Bamboo serves these three needs and addresses three more that have been identified by Vietnamese teachers over the course of three workshops. First, there is the need to stimulate students. How and why might Vietnamese youth see bilingualism as important as to their future career? Second, what drives communicative language skill-building? If the context of language learning is Vietnam, then why not feature Vietnamese citizens, youth, challenges and opportunities from cover to cover of an English language text? Third, if relevant Bending Bamboo content comes from and is about Vietnam, then can students learn at the same time to examine and practice living sustainably? The World Bank lists Vietnam among five countries most threatened by climate change. Can the 10,000 English language teachers of the Delta support sustainable modernization of Vietnam? Teachers collaborate in Bending Bamboo with biannual workshops, ten-week online forums, a repository of teaching materials, global classrooms, research on Mekong Delta sustainability challenges, and graduate-level study. Teachers engage these activities over a two-year cycle. Teachers of grades 10-12 are now writing a teacher text on ten topics to augment Tieng Anh, the public-school system curriculum. They are growing their language competence and professional confidence through collaborative training, communicative and contextualized linguistics, and instruction in sustainable development. 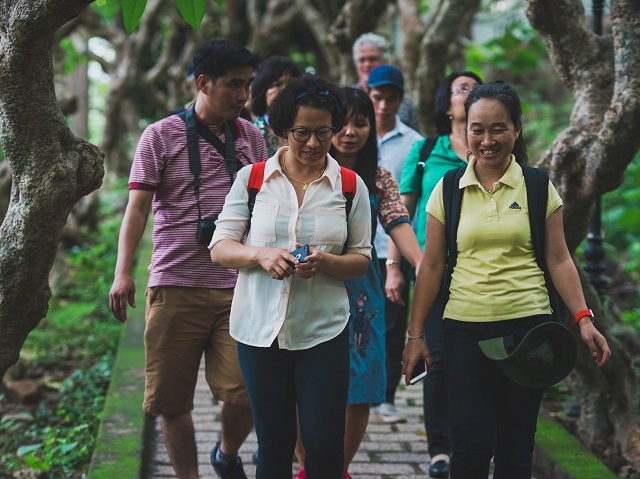 Some Vietnamese educators also choose to go a step further, to complete a Master of Arts in Applied Community Development, while fully committed to their teaching and being a Bending Bamboo Program Associate. As such, they may apply for Program Associate scholarships through the Bending Bamboo Program. A Program Associate applies his or her learning directly to the development and delivery of Bending Bamboo curricula, global classrooms, and a sustainable Mekong Delta. Believe that educators are critical actors in equipping Vietnamese youth and communities with the knowledge and skills they need for a sustainable path of development. Recognize that the 21st Century presents unique development challenges and that effective international and intercultural communication is essential. Are committed to the students and community you serve and their holistic health and happiness. 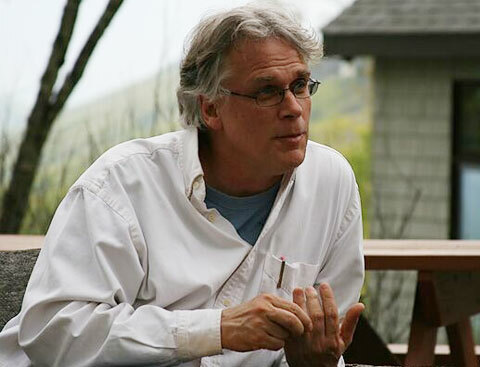 Aspire to deepen your understanding of complex social and environmental challenges. Have innovative ideas for inter-disciplinary, collaborative solutions. As a student in this Master of Arts, you will benefit from Future Generations University’s blended learning approach, which uses Online Learning (electronic library, course materials, access to software, and learning management system), Face-to-Face Discourse and Group Work (on an interactive audio-visual Zoom platform), and Community Labs (immersed application of course materials in Vietnam’s public and private language centers and research institutes). This unique opportunity allows you to pursue a Master of Arts while continuing to serve the school and community that you care so much about. Think of the community as your classroom, and the world as your campus. Here is your new educational environment. 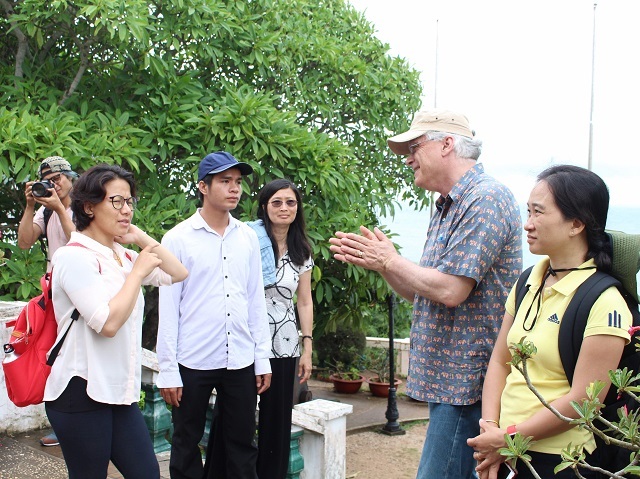 There are also optional Field Residential experiences, in which students travel in Vietnam or to other countries to examine best practices in education, sustainable development, and climate change in Asia and the world. We do not require an application fee, GRE, or TOEFL/IELTS. The strength of your application is a vision for and commitment to sustain and grow the education system of Vietnam. Class 2020 (beginning February 2019) and Class 2021 (beginning August 2020) offer partial and full scholarship opportunities. We strive to make this specialization in Linguistic Development Education available to qualified teachers regardless of financial circumstance. Limited scholarships are available, but you must apply early if you seek financial aid. Development Education, will discuss scholarship opportunities. How much does the Master of Arts cost? Partial and full scholarships are available to teachers who wish to be Bending Bamboo Program Associates. They serve in this capacity as they complete their graduate studies and continue their teaching responsibilities. Students take three 3-credit courses per semester. Tuition is US$490 per credit. The total tuition for nine credits per 18-week semester is US$4,410. There re no hidden fees and the Master of Arts provides all course books, software, and online materials. The total tuition for four semesters over two years is $17,640. How many hours of research and study are anticipated? Teachers in this program are working entirely in English. They should anticipate spending fifteen hours per week on studies and assignments that apply to their work.